(Toronto, ON)—September 15, 2017—FBI STYLE Magazine, a digital publication created for the style-wise woman will be launching with a preview issue in January 2018, with the full issue hitting the internet in March 2018. “This is not your typical fashion magazine,” says editor, Sandra Gabriel,” our focus will be on style that looks good but doesn’t necessarily keep up with trends, seasons, price points or sizes,” Gabriel adds. The essence of FBI STYLE will be the network of bloggers, influencers, brand ambassadors and contributors that it’s built on. Gabriel says their role will be critical in bringing engaging content to readers through their own fashion and beauty lens. FBI STYLE is currently reviewing photo shoot venues, wardrobe options, hair and makeup professionals as well as photographers and videographers to work on the preview issue launching in January 2018 and the Spring/Summer issue coming out in March 2018. “We want to make sure we develop long-term, mutually beneficial relationships with our network and contributors so that the magazine can become a platform to share their work and the variety of style options available to the everyday style-wise woman,” comments Gabriel. Gabriel mentions that running her own magazine has been a dream of hers for years, but she was always held back by the fear of not stacking up to the Vogue and Harper’s Bazaar of this world. After getting clear on her goals and not allowing fear to hold her back, this is the year she decided to go for it. Anyone interested in joining the FBI STYLE Network, advertising or contributing to the magazine can learn more on www.fbistyle.com. 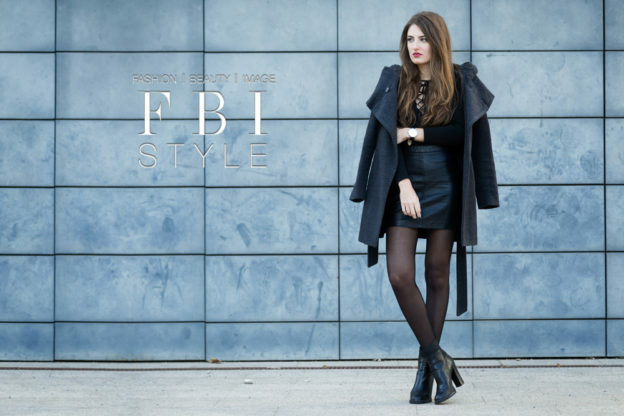 FBI STYLE is a platform that connects fashion and beauty brands, bloggers, influencers, ambassadors and customers and the range of clothing, shoes, hair and makeup that inspire their style.